Prof. Ivan Chan is an Asian global executive with deep experience in digital business and innovation. He is passionate about helping enterprises and start-ups to reinvent and grow their businesses, enabled by Digital. Having worked in both consumer-facing and industrial segments, across different industries, he offers unique insights and wisdom in strategising and executing transformation programs often leading to new business models. Prof. Chan worked in innovation and technology strategy capacity with Accenture, McKinsey and EY. He also built, over six years, two tech start-ups within the MNC environment. 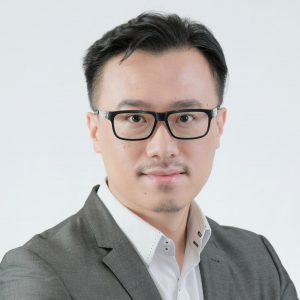 He is an Adjunct Associate Professor at The Chinese University of Hong Kong (CUHK) Business School, and a frequent keynote speaker at industry conferences. Prof. Chan holds a Master in Engineering from UBC Canada and an MBA from CUHK Business School. Ivan Chan (2016), “Borderless Global Commerce (special publication for G20 Summit),” Accenture China Journal. Ivan Chan, Kenneth Mei, Michael Araneta, and Keith Lam (2011), “Get Ready for Business Intelligence 2.0 in Asia Pacific Financial Services,” IDC Financial Insights Report.